It's always interesting how the big movie studios seem to draw inspiration (if you can call it that) from some sort of a group consciousness. This shared pool of ideas is more than likely driven by market research more than anything else, but it certainly results in movies following certain themes that go beyond mere genres. One of the quirkier movie trends as of late involve these action adventure adaptations of classic fairy tales. And we're not talking about the Disney- style adaptations that keep things all cut and cuddly. Oh no, we're talking about all these instances of trying to turn rather simple morality tales into more adult-oriented high fantasy and adventure movies with massive special effects budgets and all that good stuff. I think what surprised me most about this movie is the rather high profile cast of talent recruited into this movie.Normally you'd sort of expect that these films would just be easy money machines that the studios would just want to get done with as limited a budge as possible. But instead we get this whole extravaganza, which almost felt like an attempt to start a whole new movie franchise or something. Totally not happening though. 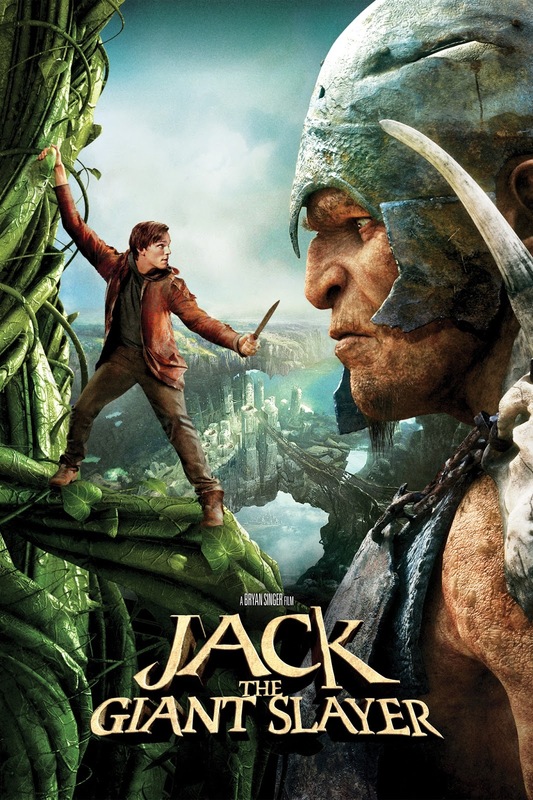 Synopsis: Jack the Giant Slayer is a 2013 fantasy adventure movie directed by Bryan Singer. The movie is somewhat based on the classic tales of Jack the Giant Killer and Jack and the Beanstalk as adapted for film by Darren Lemke, Christopher McQuarrie, and Dan Studney. We first learn about the legend of King Erik, who once defeated an army of giants invading from some realm hidden in the clouds with the use of a magical crown that is able to exert dominance over the massive beings. And in two parallel stories, we encounter young Jack on the farm and young Princess Isabelle both being rather fascinated by this bedtime story. Fast forward ten years, and we meet an older Jack (Nicholas Hoult) being sent to town to try and sell his uncle's horse. There he spots Princess Isabelle (Eleanor Tomlinson) and immediately develops a major crush on her. Meanwhile, Lord Roderick (Stanley Tucci) discovers that a monk has stolen something from him. That same monk encounters Jack and offers to purchase his horse in exchange for a reward to be provided should he return to their monastery. But in order for Jack to have something to hold onto, he gives him beans that he claims to be of significant importance to his order and he'll be greatly rewarded once they are returned to his people. And thus following the structure of the classic tale, you already know that this will lead to Jack creating a path back to the realm of the giants. I'm not fully sure how I feel about Hoult's performance Jack here. To be fair, my characterization of Jack may be more in line with how he was depicted in the various classical fairy tales. In the movie Hoult was really just...Hoult. This isn't about type-casting, but more than he seems to have a consistent style of acting that always feels a little more bland or at the very least introverted. This lends itself well to dramas where he gets to play complex characters or things of that nature. But in terms of a action-packed adventure flick, he makes for a rather dull protagonist. I really don't have much to say about Eleanor Tomlinson. Sadly her character was written to leave her as a classic damsel in distress. So much for a more modern take on women. It took me a moment to fully accept that Ewan McGregor was in this movie. The styling that they had adopted for him was dapper enough and he gets to run around a lot being all chivalrous or something. But then this character is almost comically written in order to leave more opportunities for Jack - although what those opportunities are supposed to be are anyone's guess. The addition of both Stanely Tucci and Ian McShane to the cast certainly added a bit more acting muscle to the movie, but again their characters were just decent but nothing overly complex. Thus despite all these notable actors involved in the movie, the poor writing really dragged everything down and had folks performing as caricatures instead of characters. There isn't much that can be said about the central conflict in the movie since I'm not sure why anyone would think that an army of giants is a viable military resource in the long run. And things are ultimately resolved for a lot of luck instead of the characters really persevering or improving somehow. On the whole, Jack the Giant Slayer just felt odd although not necessarily unwatchable. There's a lot to be said about some of the ideas in the movie holding some water, but actual execution was somewhat lackluster. Thus the movie can only get 2 literal pigs in a blanket out of a possible 5. I enjoyed this movie, except that part at the end about the eventual fate of the crown. Yeah, that ending was a little left field.